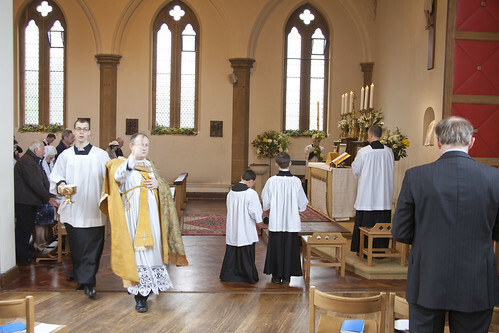 Fr Matthew Goddard FSSP celebrated Mass in St William of York, Reading, on Easter Sunday. 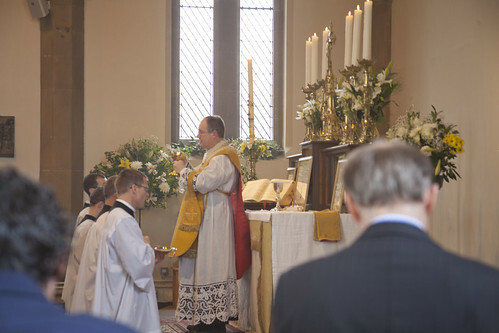 This is the first time we have the Eastertide chant for the sprinkling of the Faithful before Mass on a Sunday, 'Vidi Aquam' instead of 'Asperges me'. Ezekial goes on to talk about how the stream grows into a mighty river, makes the Dead Sea pure and drinkable, and has healing properties. 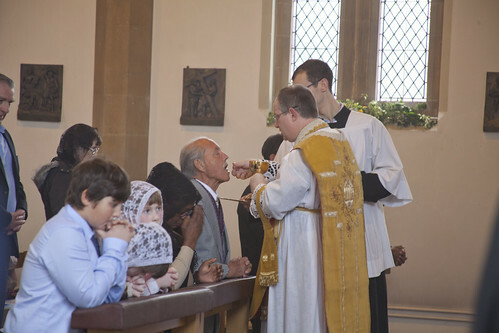 The liturgy applies this to the Passion of Our Lord, and the water, representing Baptism, flowing from his right side on the Cross. This is the kind of embedded Scriptural reference that those who suggest the EF doesn't have enough of the Bible in it tend to forget. 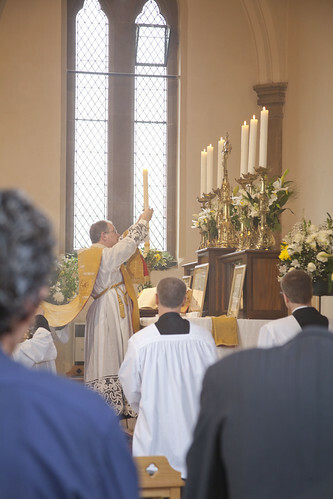 The whole of the ancient Mass is saturated with Scripture. 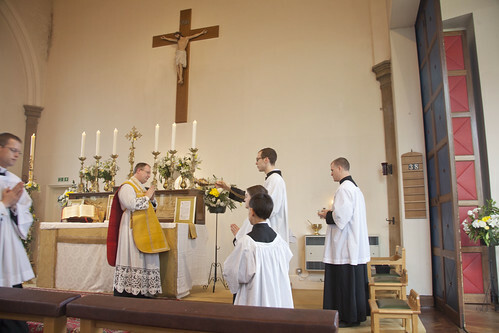 Those who only attend Sung EF Masses on special occasions such as feasts and pilgrimages never experience the 'Asperges' ceremony, which is one of the very visually dramatic and touching rites of the Church's liturgical tradition. It is, in fact, an option in the 1970 Missal, but only at the expense of the 'Penitential Rite', and it is very rarely used.